It's that time of year again, Summer! 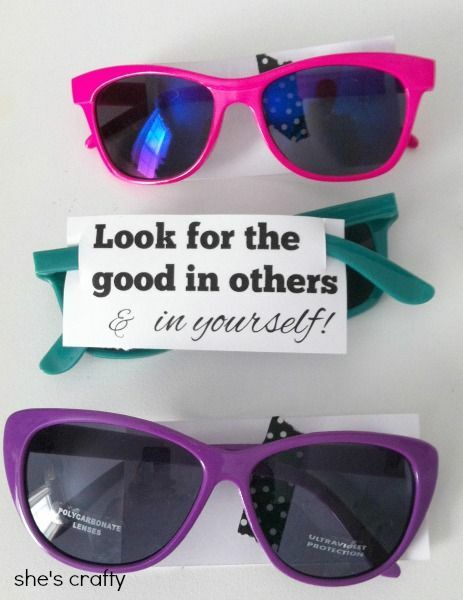 to prepare for their annual Young Women/Girls Summer Camp! 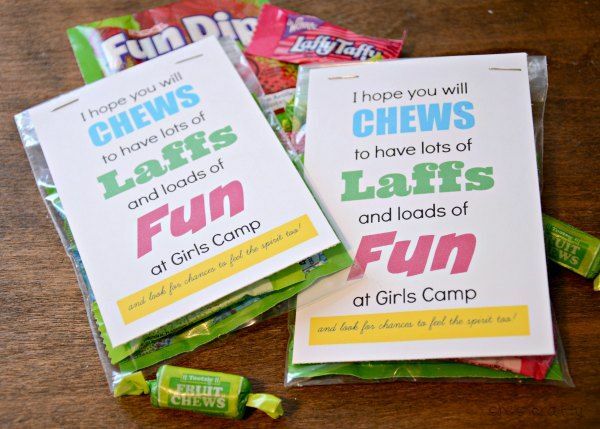 YW camp is a time for girls to get out in nature, enjoy time with one another and get away from worldly distractions. It's not always easy for young ladies to leave their families, jobs, friends, beds and their phones to go rough it in the woods. Well, as rough as air conditioned cabins can be. 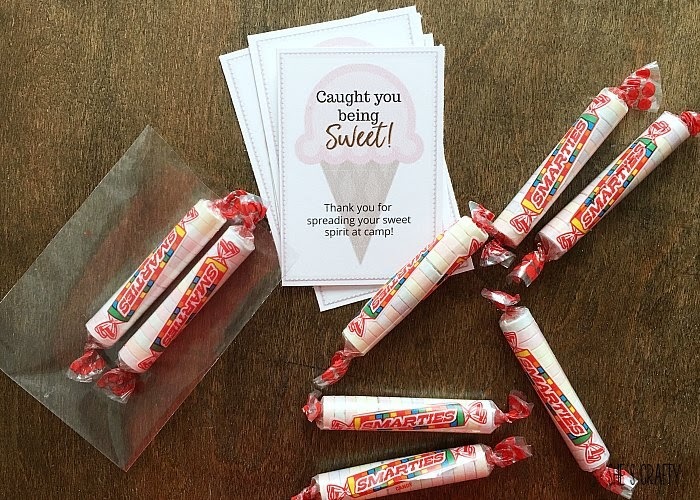 As rough, or not rough as the case may be, they still make huge sacrifices to go to camp. 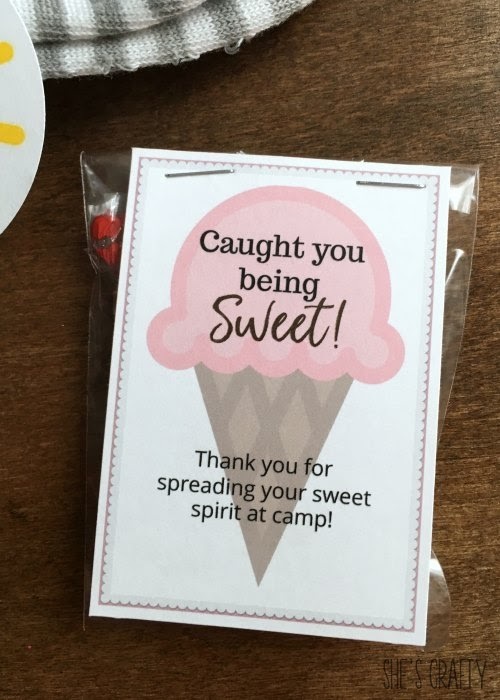 I think it's important to remind these young women how loved they are so I like to hand out Girls Camp Treats. 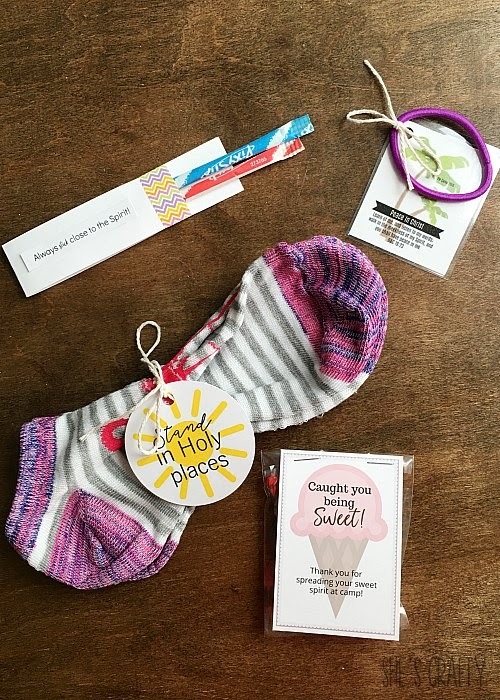 The treats don't have to be glamorous, just a thoughtful message! Get a copy of the ice cream cone printable HERE. 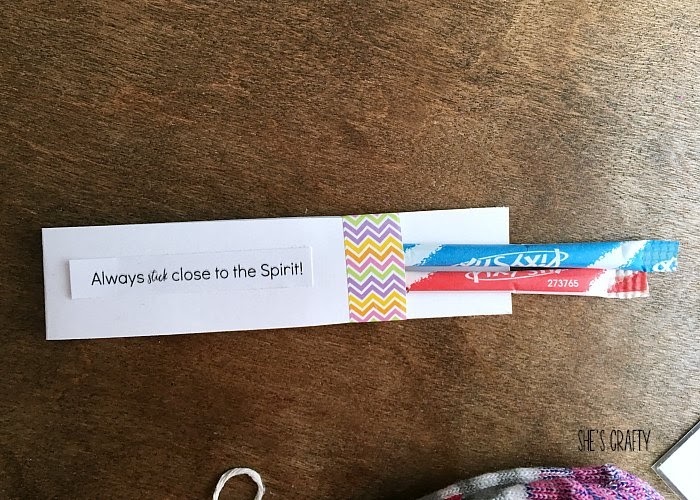 Always stick close to the Spirit! 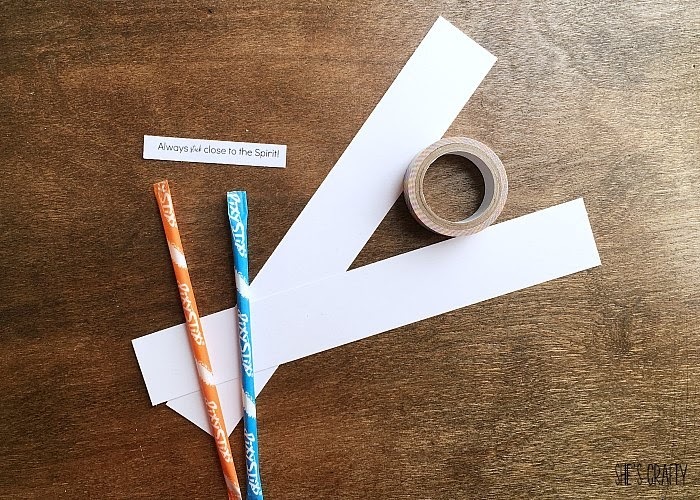 For this handout I used pixy stix, washi tape and cardstock. 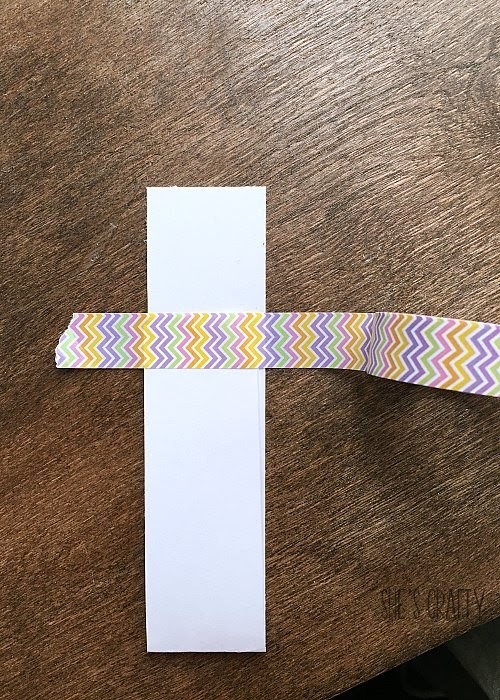 I cut a piece of white cardstock into 8.5 inch x 1 1/4 inch strips. Then I folded each strip up (leaving 1.5 inches) and wrapped a piece of washi tape around to make a paper pocket. on regular printer paper and glued it to the cardstock. Then I stuck 2 pixy stix into the pocket. 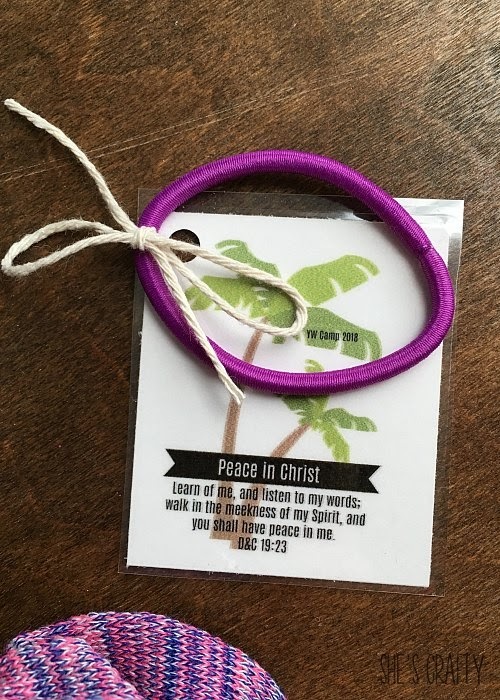 Hair ties are a hot commodity at YW camp. So I made a hair tie holder with the 2018 Girls Camp theme. I printed the theme on cardstock. 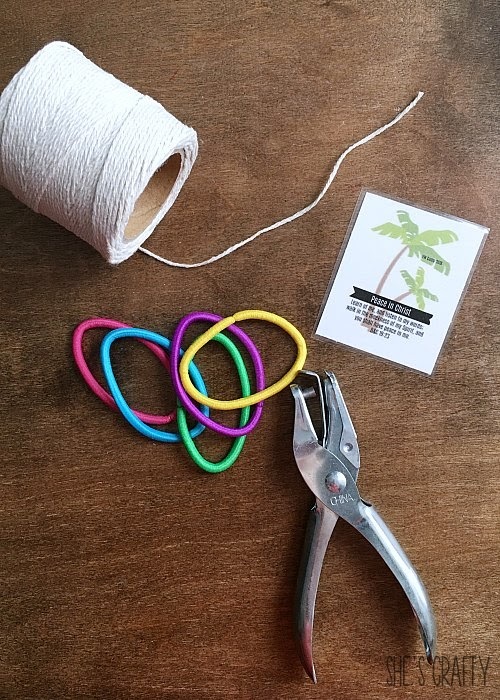 Then laminated, punched a hole, and tied a hair tie to the card with twine. Get a copy of the palm tree card here. 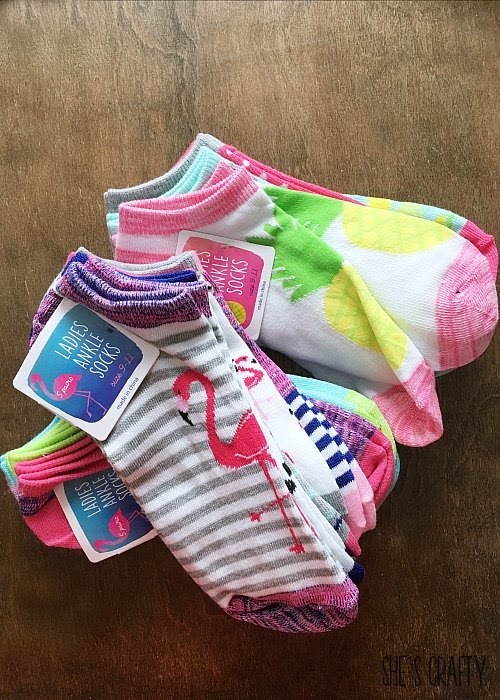 Cute and colorful socks are also a hot commodity at Girls Camp. I found these socks at Target. 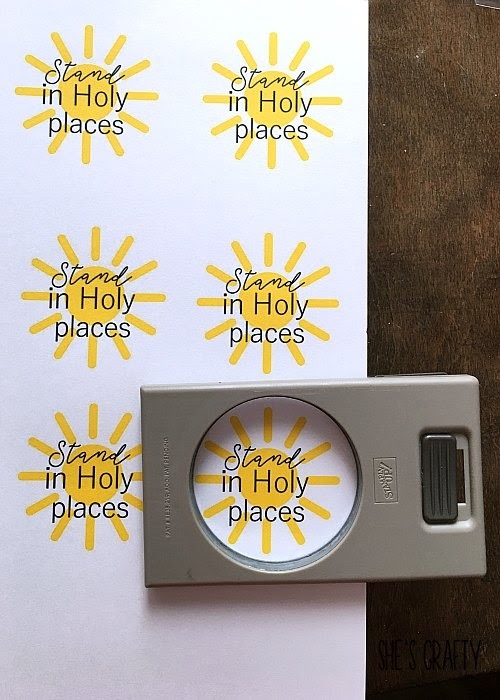 I made a Stand in Holy Places printable and punched it out with a 2.5 inch circle punch. Get the sun printable here. 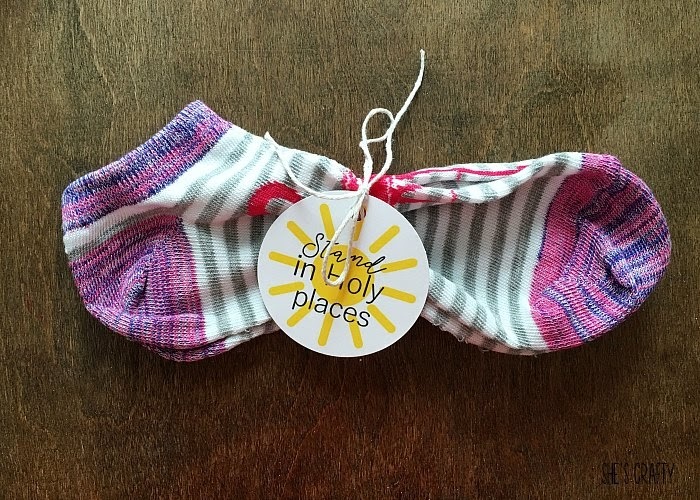 I tied the circle tag around the sock with twine. 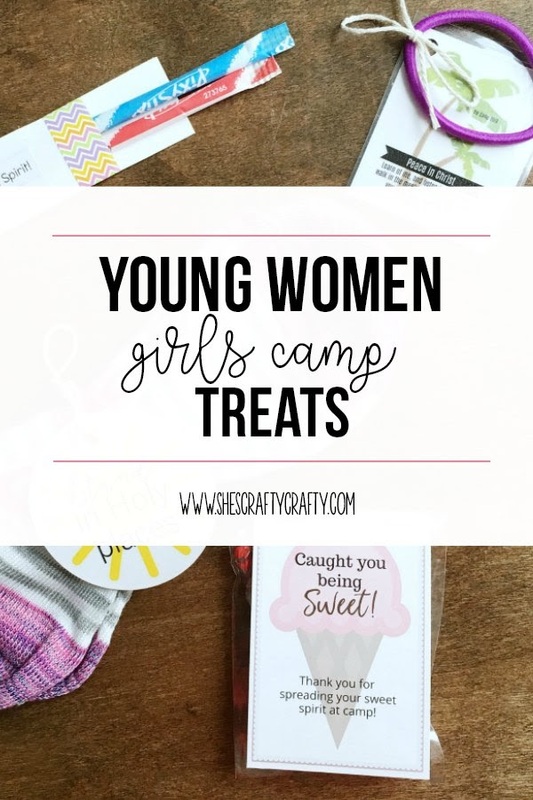 Girls Camp treats are so much fun to make and give to those sweet girls at camp! 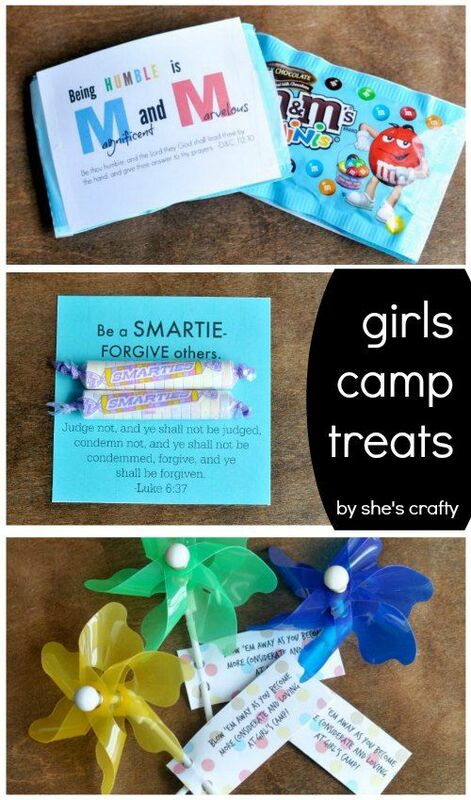 Want more Girls Camp handout ideas?